Mike, Chris, and Ruth attended Snitterfield Fete (19 June) helped by Mike’s daughter and grand-daughter. 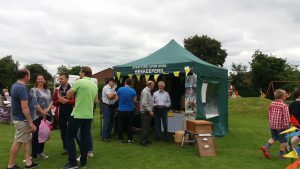 It was very busy with fete-goers tasting honey and so enthusiastic to see the Observation Hive. Children were fascinated – oh! so many questions!!! Unfortunately we were unable to find the queen that day, but were able to show them drones, and workers – some with full pollen baskets enabling us to make the link to the plants in their gardens. Retired beekeepers; old, current, and new SBKA members all called in to say Hello and just chat about bees. A very enjoyable day. 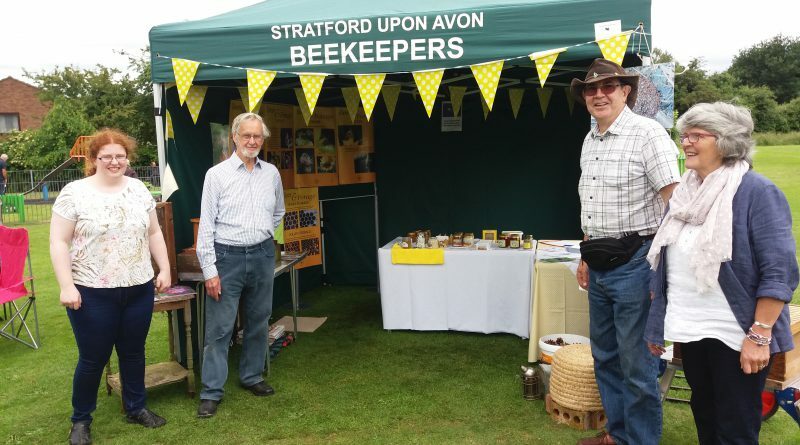 Good fun and talking about bees non-stop!, More volunteers needed in future please…..